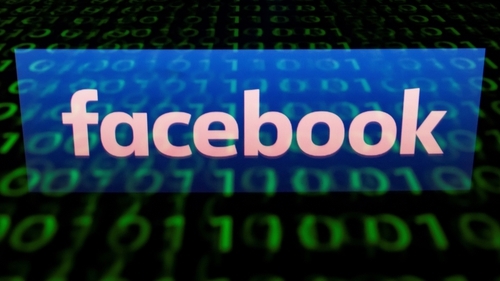 Facebook is introducing new tools aimed at protecting the integrity of the upcoming European Parliament elections in May. They include the requirement for anyone running political adverts related to the elections to provide proof to the social network that they are in the country where the ads will be targeting Facebook users. A library of all the ads that have been classified as relating to politics or issues is also going live, where the ads will remain for seven years. Announced first in January the changes are designed, the company says, to prevent online advertising from being used for foreign interference and increase transparency around all forms of political and issue advertising. They follow severe criticism of Facebook for not doing more to prevent its platform from being used by foreign actors to manipulate the outcomes of elections and other political campaigns in countries around the world, including the 2016 US presidential election. The company has come under pressure from regulators around the world, including in Europe, to deal with such threats. Technical checks will then be used by Facebook to confirm the identity and location of the advertiser. The company says the information will help authorities and regulators to decide if campaigning or other rules have been adhered to or not. However, the intended audience parameters of the ad, as set by the person or organisation placing it, will not be made available. The effort will not only focus on ads explicitly focused on politicians or parties, but also on political issues such as immigration, for example. Facebook says that in order to be able to identify ads correctly, it has been mapping out the parties and candidates taking part in the elections across the EU, as well as identifying the top political issues, and generating keywords for both. A new publicly accessible and searchable Ad Library tool will then store all ads classified as relating to politics or issues for up to seven years. Included in the saved data will be information on the number of times the ad was viewed, and demographics about the audience reached including age range, location, and gender. Facebook says the Ad Library will also have an API that news organisations, regulators, watchdogs and ordinary people can plug into in order to delve deeper into the data. Ads from news organisations will be exempt from the new tools, according to the company, although it warns this will not be possible in all countries right away. Recognising that the system will not be perfect, the firm is also asking for the public's help in policing it. It says it wants anyone who spots an ad that they think should be labelled as being political or issue based but is not, to report it to them. Last year, during the campaign on the referendum on the Eighth Amendment to the Constitution, Facebook banned all ads coming from groups outside of Ireland that were seeking to influence voters on the topic. Facebook says it has learned from the experience it gained during that campaign, which has since fed into the design of the new tools.